I never thought I’d say this, but…I kinda like Joe Biden! Don’t worry, I haven’t gone soft. His gaffes make me smile, and the latest is a doozy. In a live interview with a Miami radio station, Biden took the torch of ownership on the economy. I’m pretty sure that Obama’s 2012 election staff is having a coronary right about now. Its the little things that make me happy. 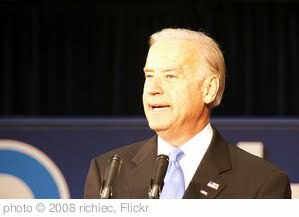 Read the glorious details here: Joe Biden: The economy belongs to us, not Bush – Political Hotsheet – CBS News.